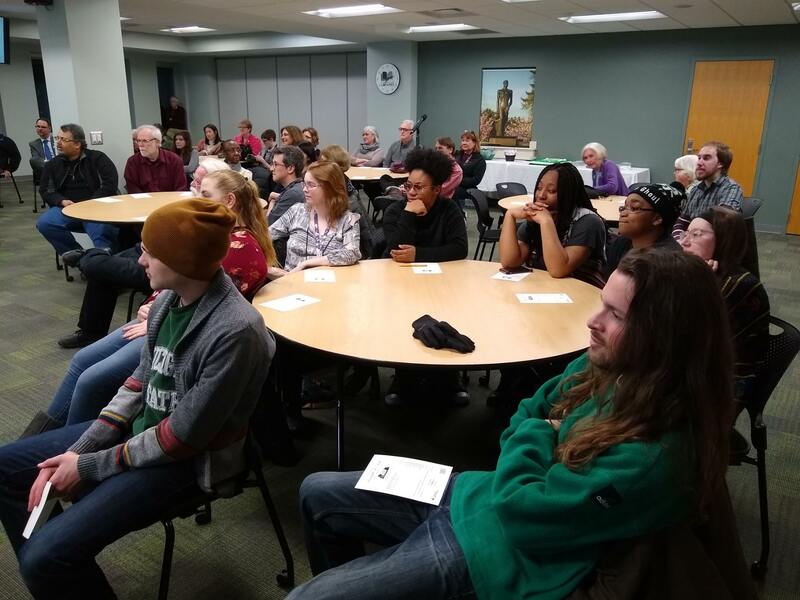 There was an unlisted event on Thursday evening of the MSU Comics Forum. 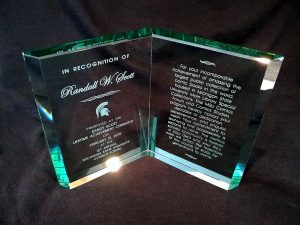 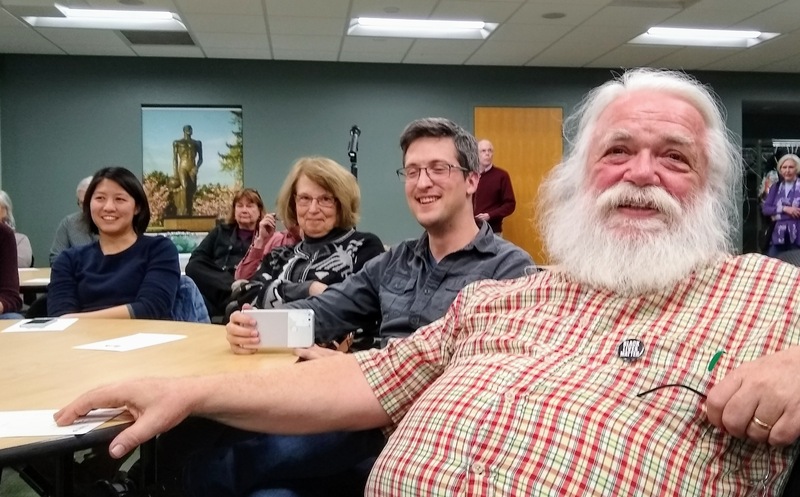 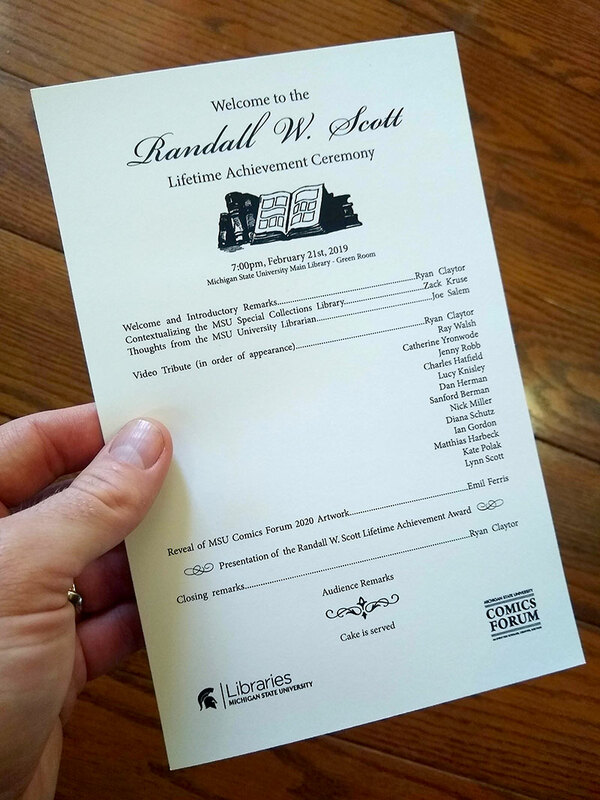 Our MSU Special Collections Comics Bibliographer, Randy Scott, was honored with a lifetime achievement award at a surprise, invitation-only, ceremony this evening. 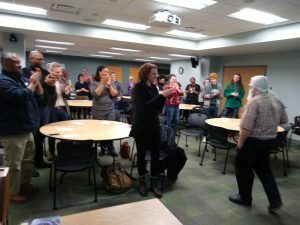 He was unexpectedly welcomed by collegues, friends, and out-of-state family. …and received a standing ovation on the way back to his seat. Thanks for your decades of dedication to comics studies, Randy. 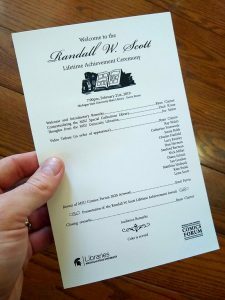 Your life’s work will affect scholars, creators, and readers for generations to come. 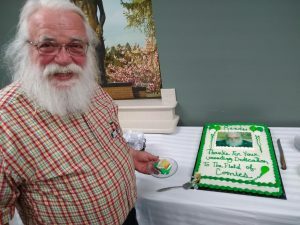 One final point of clarification, this was decidedly not a retirement ceremony. 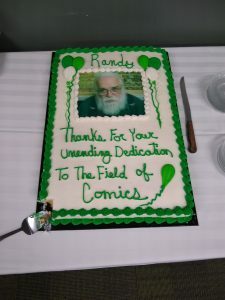 Randy is still employed and incredibly active. 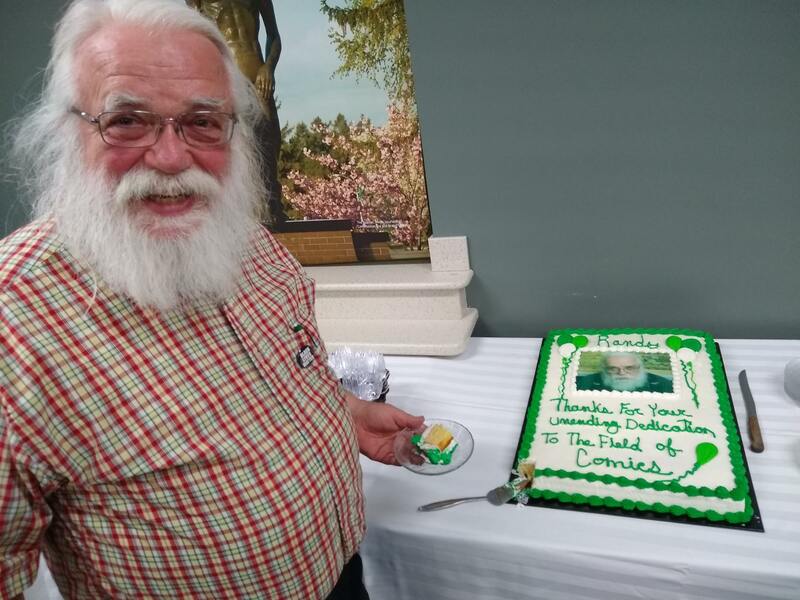 At the age of 71, Randy has not announced a retirement date.